"The establishment of the Arizona Cancer and Evolution Center at ASU by the National Cancer Institute positions the university at the forefront of new discoveries through groundbreaking, interdisciplinary approaches," said Sethuraman Panchanathan, executive vice president of Knowledge Enterprise Development and chief research and innovation officer at ASU. "The convergence of leading-edge theory in evolution and ecology and experimental research and verification paves the way for rapid advances in the fight against a tenacious disease that continues to pose a challenge to researchers everywhere." As an NCI-designated Cancer Systems Biology Center, the Arizona Cancer and Evolution Center (ACE) will be embedded in a large-scale initiative by the National Cancer Institute (NCI), helping to support their Cancer Systems Biology Consortium (CSBC). ASU is one of only 13 research institutions nationwide to be selected as a research center in the consortium. ACE will bring together leading researchers from a number of institutions, including the University of Southern California; University of California, Santa Barbara; University of Zurich, Barts Cancer Institute at the Queen Mary University of London; the Institute of Cancer Research in London; the Huntsman Cancer Institute at the University of Utah; Stanford University; and North Carolina State University. ASU partners include the Biodesign Institute, Hugh Downs School of Human Communications, Beyond Center and the Department of Biomedical Informatics. The National Cancer Institute's ambitious network of CSBC centers bring together clinical and basic cancer researchers with physical scientists, engineers, mathematicians and computer scientists to tackle key questions in cancer biology from a novel point of view. "Cancer is a complex disease and it challenges our traditional approaches, making it hard to predict tumor growth and drug response," said Daniel Gallahan, Ph.D., deputy director of NCI's Division of Cancer Biology. "Cancer systems biologists embrace that complexity and use many different types of data to build mathematical models that allow us to make predictions about whether a tumor will metastasize or what drug combinations will be effective." "There are great opportunities to use methods from evolution and ecology to improve prediction, prognosis and cancer therapy," said Carlo Maley, a Biodesign Institute researcher and a professor in the School of Life Sciences, who will head the new center. "Cells in tumors are constantly changing and evolving – measures from evolution and ecology are ideally suited for capturing and quantifying those dynamics. Those dynamics often lead to treatment failure. Rather than aggressive efforts to eradicate cancer, which may accelerate the evolution of treatment resistance and resurgence of the tumors, we are learning how to manage cancers so that we can live with the disease but not die from it." Maley explains that "all multicellular forms of life are susceptible to cancer, including plants, fungi, and animals. We can discover novel approaches to preventing cancer in humans by studying how other organisms have evolved to prevent cancer. 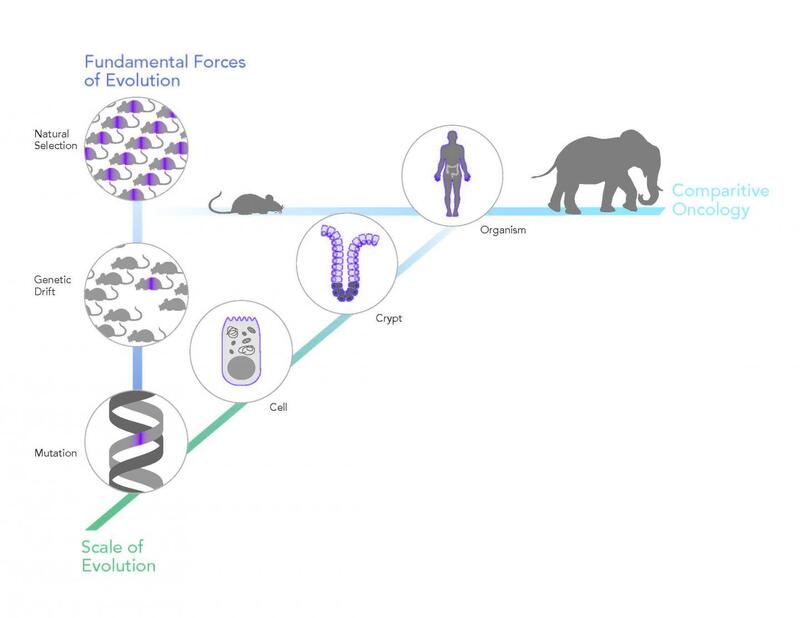 Viewing cancer through an evolutionary and ecological lens offers researchers and physicians profound new insights and tools for both studying and controlling cancer." The center's mission is to advance the fundamental understanding of cancer and its clinical management through the development and application of evolutionary and ecological models to cancer biology. Ongoing research efforts have shown that evolutionary and ecological theory can be used to distinguish low-risk from high-risk tumors, develop novel approaches to cancer prevention, predict long-term response to therapy, and discover the fundamental biology that drives cancer. According to Joshua LaBaer, executive director of the Biodesign Institute and director of the Biodesign Virginia G. Piper Center for Personalized Diagnostics, "the Biodesign Institute has pursued daring and revolutionary approaches to human health, particularly in the area of cancer biology. Leveraging university-wide resources, as well as Biodesign's particular strengths in applying evolutionary approaches to the puzzle of cancer, the Arizona Cancer and Evolution Center will advance the agenda of the New American University promoted by President Michael Crow, where real world issues of the highest priority are attacked through the most far-sighted and interdisciplinary techniques." In addition to applying systems biology methods to gain important insight into cancer, each CSBC Research Center supports an outreach program to promote training in interdisciplinary science, disseminate important research findings to the community, and to engage the public in cancer systems biology research. The Arizona Cancer and Evolution Center is launching innovations in this space as well, including collaborations with artists and musicians to view cancer from new angles, museum exhibits, and the establishment of a cactus garden next to the Biodesign Institute that highlights how many organisms, including plants, can live with cancer (called fasciations). Sage Bionetworks in Seattle serves as the CSBC Coordinating Center to facilitate data and resource sharing and collaborative scientific activities across the entities of the CSBC, which includes the nine Research Centers as well as two new Research Projects. "The CSBC program encourages team science and promotes a multi-disciplinary approach to studying cancer," said Shannon Hughes, Ph.D., program director for the CSBC. "These approaches are critical to our ultimate goal of improving the lives of cancer patients." Arizona Cancer and Evolution (ACE) Center has been established through the generous support of the National Cancer Institute, which selected Arizona State University to join its Cancer Systems Biology Consortium. ACE's mission is to advance fundamental understanding of cancer and its clinical management through the development and application of evolutionary and ecological models to cancer biology. ASU participants in the interdisciplinary consortium include Biodesign Institute, Hugh Downs School of Human Communication, Beyond Center and the Department of Biomedical Informatics. International participants include the University of Southern California; University of California, Santa Barbara; University of Zurich; Barts Cancer Center at the Queen Mary University of London; the Institute of Cancer Research; the Huntsman Cancer Institute at the University of Utah; Stanford University; and North Carolina State University.